Children of aging parents talk about the resistance and stubbornness of their senior parents all the time. Caring for elderly parents could present a challenge in the future if this basic communication roadblock is not resolved. Many children of aging parents hit a roadblock when they try to talk to their parents about the future. A primary problem could be YOUR mindset as you approach your parents. You’ve probably heard the phrase “parenting your parents” a million times. It’s a common phrase in our culture and one that I think has amazingly destructive consequences for children of aging parents. The idea of parenting your parents starts with a benign agenda of providing care, physical and financial and help at a time when your parents require more help. The problem is that to stay in that mindset, you quickly lose perspective on what the appropriate roles really are. No matter how frail or ill you parents become, they will always be your parents. To have the mindset of “parenting your parents” diminishes their respect and can diminish their independence. As adults, and as your parents, they have the right to self-determination no matter what. Even if the time comes that they are incapable of living independently, or managing their own money, they never become your child. Here’s the problem. Thinking like “their parent”, you can quickly get deadlocked into a psychological game. As you try to assert more control, they will instinctively take the role of “the child” which is to resist, even if it’s irrational and not in their best interest. Instead, you want to become a PARTNER with your aging parent. This shift of perspective will make a huge difference. As a Parent -- You are in charge. You make the rules. You set the agenda. Negotiation is not necessary. As a PARTNER -- You have a common goal. You have a mutual interest. You figure out how to collaborate for a common purpose. As a Parent your values are what matter. As a Partner -- you share what’s important to you, but you also listen to understand the values, goals and needs of your partner. So that shift of perspective is essential. Your parents have heard the dreaded phrase as well -- “parenting your parent” so there may well be a natural suspicion of your attempts to broach subjects they deem personal or private. It’s your job to reassure them that you want to be on the same team. You want to be a partner in their best future. That your goal is to collaborate with them to make sure that their needs, beliefs, and values are upheld. Reassure them, that as children of aging parents, you are never attempting to switch roles. As reinforcement, you have to make sure your own intentions are clear. Not to manipulate them. Not to subtly coerce them. You intend to make every action worthy of trust. When you hold that intention in your mind and heart, it will make a difference in how you listen. It will influence what you say. 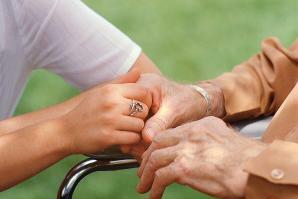 to learn how to continue the talks with your aging parents. How to start to talk to your aging parents about the future. Research all the options before making decisions.